Older monkeys who began the calorie-restricted diet weighed significantly less than monkeys in the control group. They had lower levels of triglycerides (fatty acids) and cholesterol. Yet the calorie-restricted older monkeys did not live any longer than their counterparts. There were also no apparent differences in the causes of death between the two. Twenty percent of the young monkeys in the calorie-restricted group have died of age-related causes, compared to 24% of the control group. The calorie-restricted younger monkeys weigh less, but do not have significantly lower levels of fasting glucose or triglycerides. Cancer rates were improved in the calorie-restricted group, but diabetes and cardiovascular disease were detected in both. Approximately 50% of the younger monkeys in the study are still alive. Using the data already collected, researchers estimate a less than 0.1% chance that the calorie restriction diet will have a favorable effect on their survival. 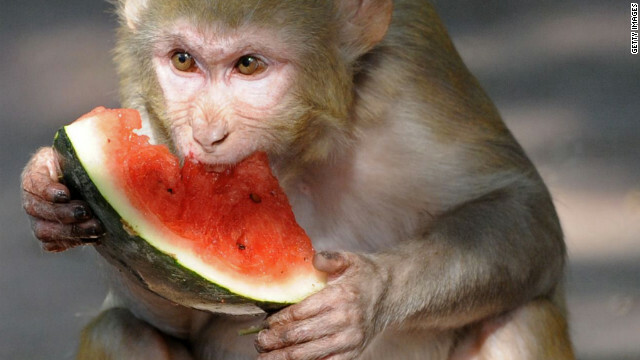 Scientists at the Wisconsin National Primate Research Center are doing a parallel study using rhesus monkeys on a 30% calorie restricted diet. They have reported improved survival rates in their primates. Mattison says the differences in the monkeys’ diet composition in each study could contribute to the varying results. The NIA monkeys are from China and India, whereas the Wisconsin monkeys come only from India; the genetic makeup in each could be different. First and foremost, Mattison stresses that a calorie-restricted diet is meant for studying aging, not as a “prescription for human health.” Anyone interested in following a similar plan should first speak to their doctor. The second takeaway is that we still need more information. “The effects of (calorie restriction) are multi-faceted in a longer-lived subject such as a monkey and it is necessary to dissect the interplay of number of calories and source of calories," Mattison says. "Unless we understand which pathways are being affected by this metabolic stress, we can’t control the many other variables that might contribute to the effect.